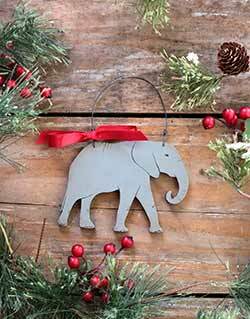 A symbol of strength and power, the elephant is a universally loved theme, popular with baby nurseries, home accessories, party decor, and more! 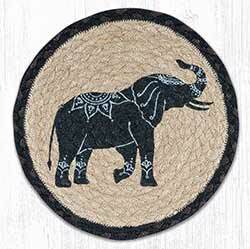 Features an India artwork with henna inspired designs, and braiding in black, brown, and tan. Measures 10 inches. 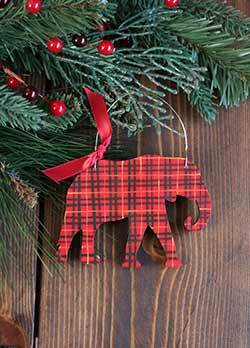 This elephant ornament is perfect for a children's gift, to commemorate a safari or zoo visit, or for an elephant lover. Custom painted to order, it makes a great stocking stuffer, baby shower, or birthday gift! 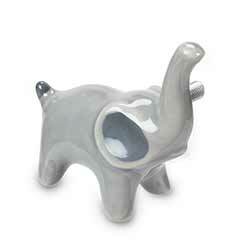 This porcelain pachyderm is a whimsical addition for the avid collector or anyone who enjoys a fine pot of tea! 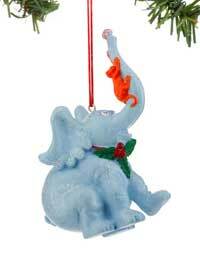 Horton & Monkey Ornament, by Department 56 / Enesco. Part of the Dr. Seuss Collection, in honor of his 75th anniversary! 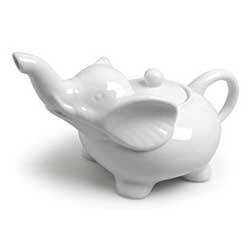 This is for the Horton & Monkey Ornament. Measures 3.5 x 1.5 x 2.75 inches. Made of resin. We all love an elephant, but in India, sometimes it's a work of art! 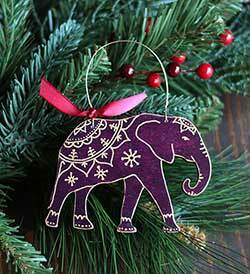 This elephant ornament is the perfect gift to commemorate trip to India, a safari or zoo visit, or for an elephant lover. Custom painted to order, it comes boxed and ready for gift giving!